The offerings are ample here, everything made to order, from appetizers like the chicken wings ($8) -- seven fat wing sections marinated in a blend of seasonings, then slow-baked before being grilled to crunchy perfection -- to classic Thai soups; the tom yum ($4-$7) is particularly tasty, with sour sop, lemongrass, lime juice, mushrooms, tomatoes, baby corn, and cilantro. Another nice warm-up on a cold night is the wonton soup ($6-$8), with steaming chicken broth swimming with juicy ground pork wontons, lettuce, and scallions. Satay ($7) is popular as well -- three sticks of chicken marinated in coconut milk and Thai herbs, and served with peanut sauce and cucumber relish. 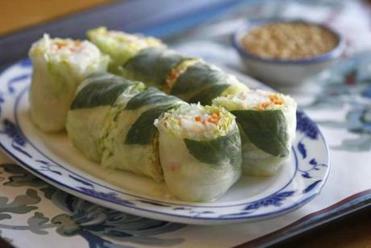 You can get salads as well, including the traditional lahp ($11-$12), a ground-meat dish of pork, chicken, or beef, with cilantro, basil, scallions, lime, and spices, served with cucumber slices and sticky rice. 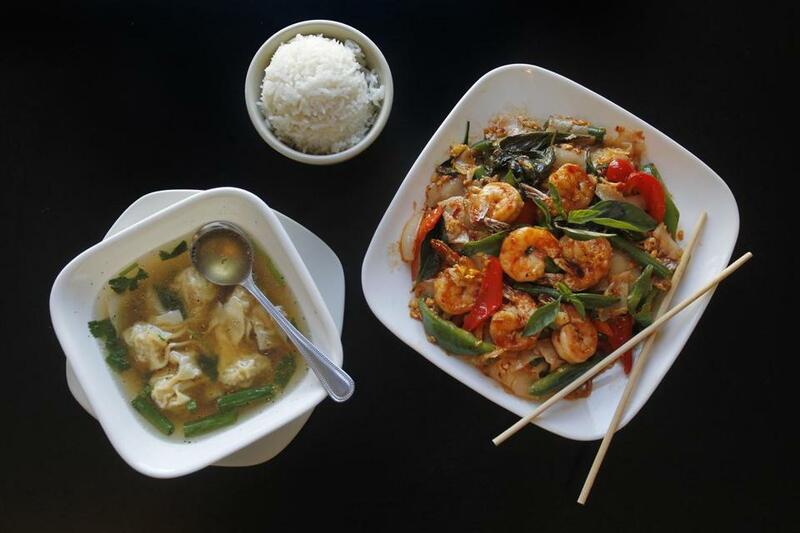 The papaya salad ($12) is a hit, too -- shredded papaya with Thai spices, garlic, lime, and cherry tomato, served with chicken wings and coconut rice. 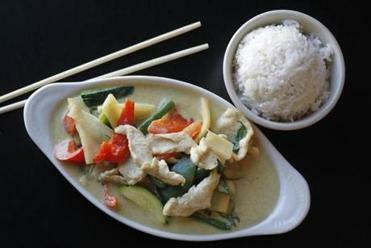 Nothing says Thai like curry, and they have it in a variety of styles, including the mango curry ($13), with thick chunks of fresh mango, bell pepper, onion, mushroom, zucchini, coconut milk, and a choice of pork, chicken, vegetable, beef, shrimp, scallop, or tofu, a smooth and tangy dish that you can get ramped up in heat if you’d like. Pad Thai ($11-$14) is a signature dish, with noodles imported from Thailand, fried with egg, scallion, ground peanut, and choice of meats. The portions are ample, but if you’ve room for dessert, you may try traditional dishes like mango sticky rice ($5.50), which is fresh mango and sticky rice mixed with sweet coconut milk. 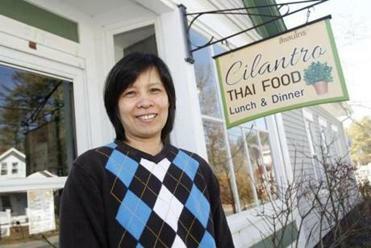 Cilantro Thai Cuisine, 374 Front St., Marion, 508-748-2700, www.cilantrocuisine.com.